More of the popular Wayfarer styles for this summer's season. 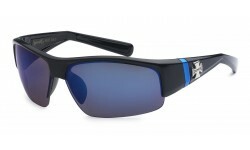 This style comes in the soft touch frames and color mirror lenses. Don't miss out on the opportunity of having these styles in your selection for the hipster customers. Buy cheap wayfarers at Sunrayzz Imports.